December 30: 5 POWER Lessons From 5 Leaders Who Made History On This DAY! Those born on the 30th of December are believed to always put in their effort to complete every task at hand, regardless of how difficult or challenging it may be. Here are the lessons from 5 such great leaders born this day, who have always worked towards accomplishing their goal fearlessly. You are sure to go back thoroughly roused after this read! 1. If a man chooses a certain way and seems to have no particular talent for this ‘way’, he can still become a master if he so chooses. 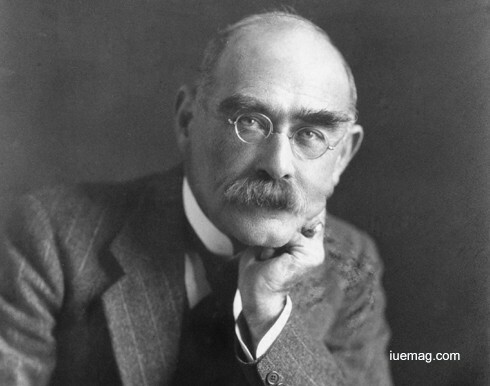 Joseph Rudyard Kipling was an English author, journalist and poet who wrote the famous fiction The Jungle Book. Kipling ranks among the greatest English novelists and authors and is regarded as the leader of the art of the short stories. After spending some fabulous years in India, a six year old Kipling was sent to England where he lived with a couple. Those years under the bullying and maltreatment of the lady there, were of humiliation, torture and obloquy as he sardonically recalls in his autobiography. The bad days came to an end when his mother returned to England and took them away with her. Due to the financial difficulties of his parents, Rudyard abandoned his dream to study at Oxford and took up a job in Lahore-then a part of India- of an assistant editor in a local newspaper the Civil & Military Gazette. Whilst working with the paper, Rudyard kept writing and published six volumes of short stories. He later decided to move to London to make his entry in the literary world there. Several significant things happened in the next years of his life, he wrote his first novel, ‘The Light That Failed’. It was after his first daughter Josephine was born, that he started writing the 'Mowgli stories' which later became known as ‘The Jungle Book’ and within the next few years, Rudyard had written a volume of short stories, a novel ‘Captain Courageous’ and a several number of poetries together with ‘The Seven seas>’. The most active phase of his life was the first decade of the 20th century, when he was at the peak of his creative best, which brought the greatest honour of the time, the Noble Prize for Literature. At the award function in Stockholm on 10 December 1907, Kipling became the first English language recipient of this great honour and the youngest recipient to have received the award till this day. 2. A man's accomplishments in life are the cumulative effect of his ‘attention to details’. That is what makes the difference between something ‘good’ and something ‘great’. John Joseph Patrick Ryan, best known by his stage name, Jack Lord is a famous American actor who made it big in the industry all on his own. He had no family or friends who knew the business, yet he pursued acting with remarkable single mindedness. As a child, he grew up in close vicinity of horses at his ancestral fruit orchard and began harbouring his equestrian skills since a tender age. An artist all his lifetime, he spent time and money learning more about his passion under the able guidance of some pioneers in the industry. He even worked odd mundane jobs to build a fund that would help pursue his passion for acting. He made his first professional sale when two cuts - ‘Vermont’ and ‘Fishing Shacks’, were picked up by the ‘Metropolitan Museum of Arts’. He starred for a whopping twelve seasons on ‘Hawaii Five-O’ as Detective Steve McGarrett. His role was highly appreciated and is remembered as one of Lord’s most memorable works. A perfectionist all his life, he sought to do everything eyeing every minute detail. A great example of this man’s sense of justice would be the casting of native Hawaiians in his long-running TV series instead of mainland actors. He also insisted that his character drive Ford vehicles. 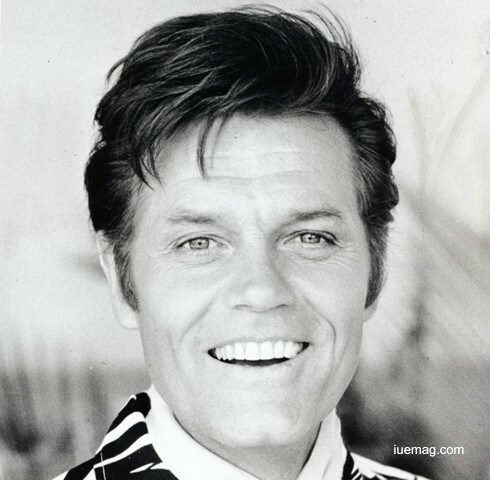 His reputation for seeing to the details of producing a TV show and his dedication ensured that when the original producer passed away, Jack Lord was given complete control of the content. 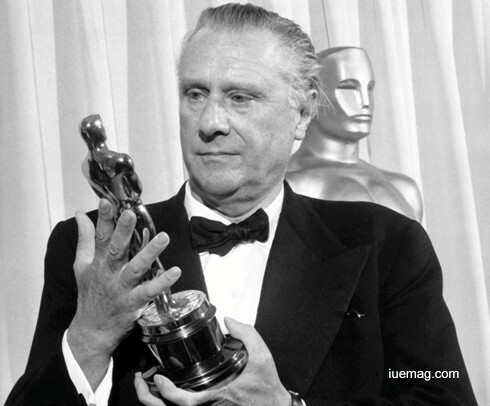 Unafraid and unmoved by studio machinations, he stood his ground when it came to negotiating with network executives or studio bosses. 3. Every opportunity has a difficulty, and every difficulty has an opportunity. The difference between an obstacle and an opportunity is our ‘attitude’ towards it. Alfred Emanuel Smith was an American politician who served as the Governor of New York for four times and became the first ever Catholic nominee for President. 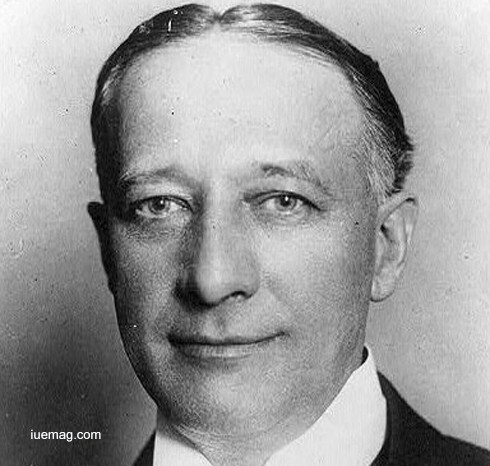 He was a very popular Governor and is credited to have brought about a wide range of reforms during the 1920s. He was a strong opponent of Prohibition and found loyal supporters in the citizens who themselves were against Prohibition. After losing his father as a teenager, the young boy who was then studying at St. James school dropped out to support his family. He worked as a newsboy and a fishmonger for years before he could enter the world of politics. He never went to high school or college and was a self-learned man. He always had a keen interest in politics and his career in this field was launched in 1895 when Tammany Hall, the New York City Democratic political organization, made him an investigator in the office of the city commissioner of jurors. Blessed with a charismatic personality and powerful oratory skills, he soon worked up his way to become the Governor of New York. His successful stint as the governor endeared him to the people and he was re-elected to the post, 3 more times. As a governor he became a much respected figure who implemented progressive measures to make the government more efficient in meeting the needs of the society. Several laws including the ones governing the workers’ compensation and women’s pensions were strengthened during his term. Having hailed from a humble family and struggling much through life enabled him to connect with the plight of the common working-class people and he strived hard to work towards their betterment by implementing reformatory policies while he was the governor. 4. If you believe in yourself and have dedication and pride – never quit, you’ll be a winner. The price of victory is high but so are the rewards..
His father, Sir Herbert Beerbohm Tree was a hugely successful British stage actor and the founder of the ‘Royal School of Dramatic Arts’. Reed wanted to be actor like his father but his mother disapproved of the idea and sent him away to Massachusetts, USA, in 1922. He came back to England six months later and in 1924, at the age of 18, took up acting and started playing bit parts on the stage with a company run by Dame Sybil Thorndike. In 1927 Edgar Wallace became the chairman of new ‘British Lion Film Corporation’ and he made Reed his personal assistant. Reed supervised Wallace’s plays during the day and acted in plays during the night. When Wallace passed away, Reed moved to films from the stage and joined the ‘Ealing Studios’. He was appointed to act as a dialogue coach for ‘Associated Talking Pictures’ under Basil Dean. From a dialogue coach he became an associate director and then a director, and made some very impressive films during his career. He was especially famous for making thrillers in which he proved to be a master for creating levels of suspense that were simply electric. Though he was an unassuming man diametrically opposite to the character of a director strutting about with a bull-horn in his hand, he was able to make the films reach a high level of suspense which sometimes made the audience breathless, certainly proving his dedication to ensure the results were as expected. He was also the first British film director to receive a knighthood especially for his direction of British films and documentaries. 5. The only thing you take with you when you’re gone is what you leave behind. This quote perfectly suits the man whose name shall forever be remembered with the game of hockey, Lester Patrick - hockey's “Silver Fox”. Lester Patrick, along with his brother Frank, made countless contributions to the game of hockey throughout his lifetime as a player, coach, manager, owner and National Hockey League governor. Together, the Patricks pioneered hockey as a big business. 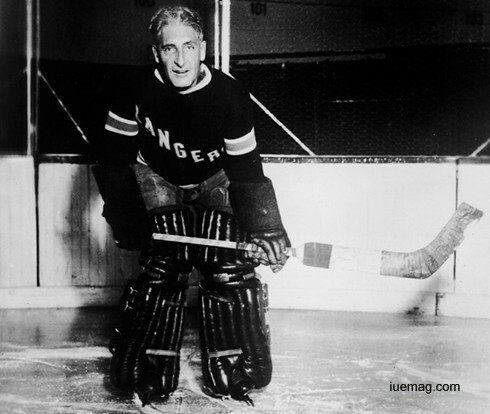 Lester first became prominent as a hockey player out west as he dropped out of McGill University in order to pursue his dreams. Known for his great speed and skills, he used his abilities as one of game's earliest offensive defensemen to help a team from Brandon Manitoba fall just short of a Stanley Cup championship against the Ottawa Silver Seven. He then returned to Montreal to play with Westmount. He was a part of two Stanley Cup championships with the Wanderers before he moved to Nelson, British Columbia to work in the family lumber business. That season both Patrick brothers signed up to play with the Renfrew Millionaires of the newly formed National Hockey Association - the direct forerunner of the National Hockey League. However the Patricks returned to the west in 1911 and started their own circuit - the Pacific Coast Hockey Association. The PCHA was the most serious big league alternative that the NHA/NHL ever faced, even bigger than the World Hockey Association challenge of the 1970s.